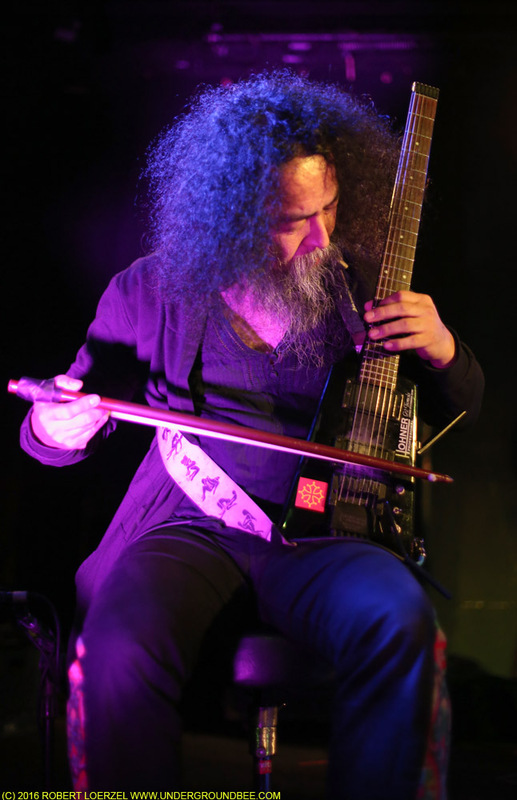 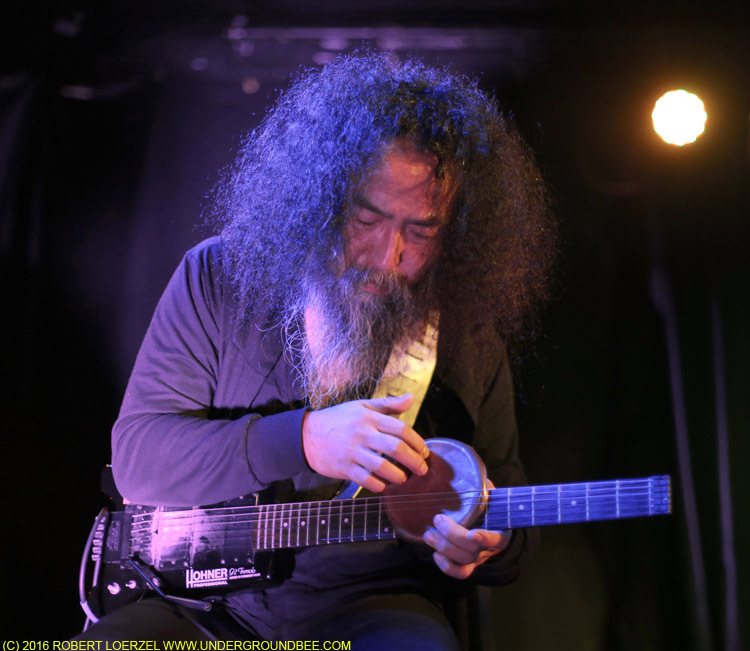 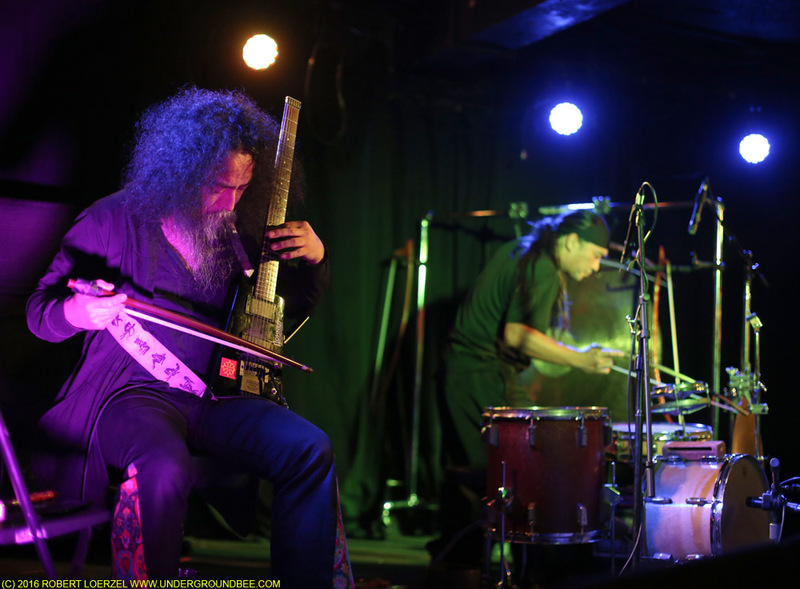 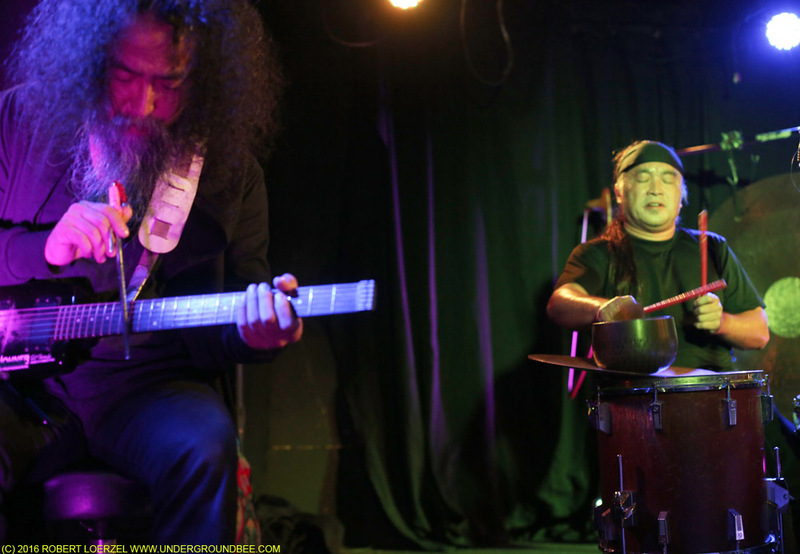 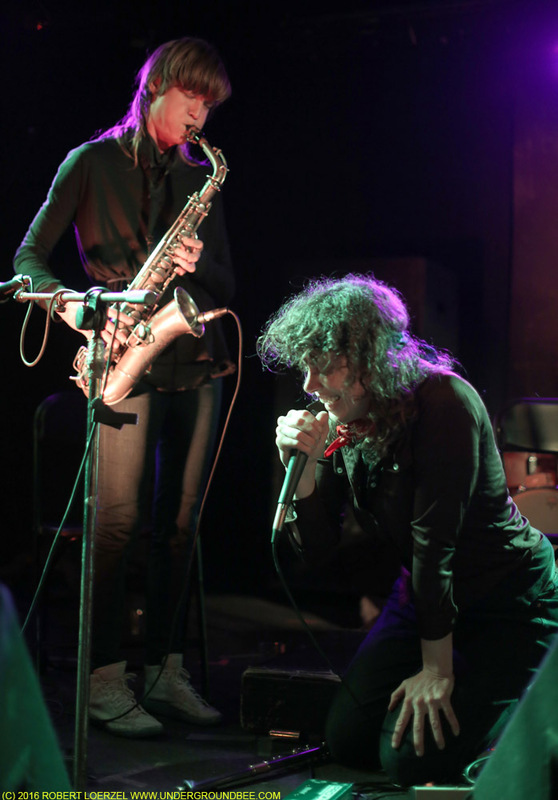 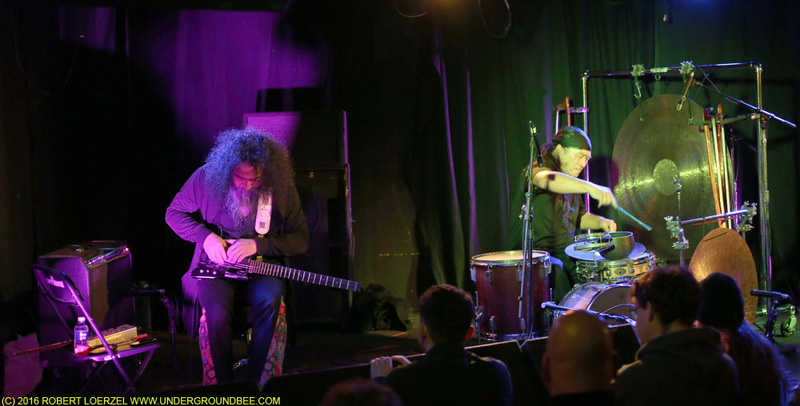 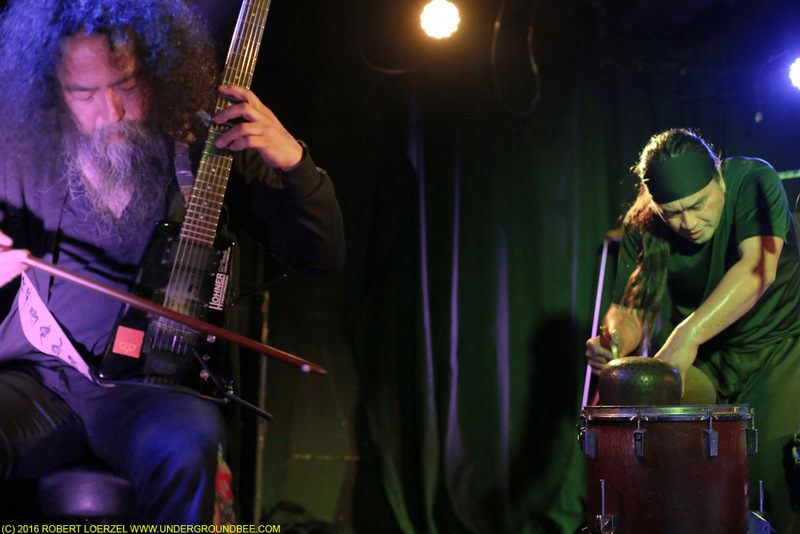 Two master musicians from Japan — guitarist Kawabata Makoto, who’s the leader of Acid Mothers Temple, and percussionist Tatsuya Nakatani — created a beautiful instrumental epic onstage at the Empty Bottle on Nov. 29. 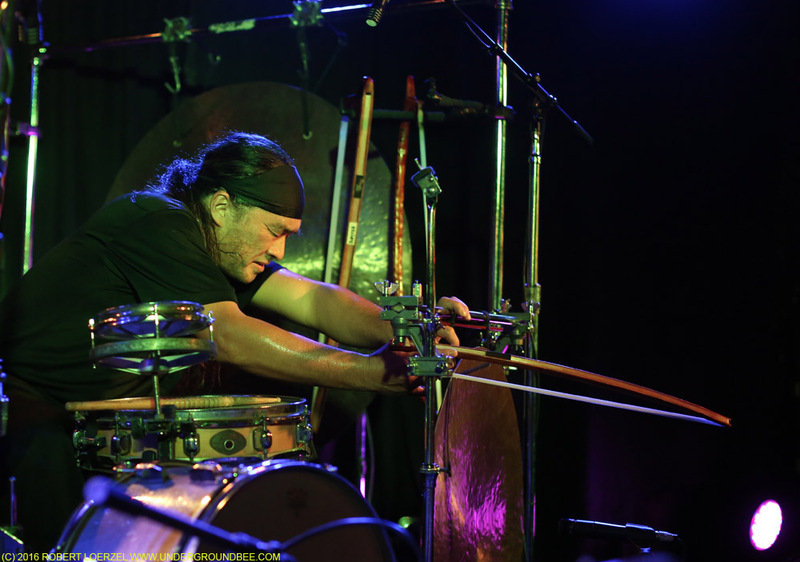 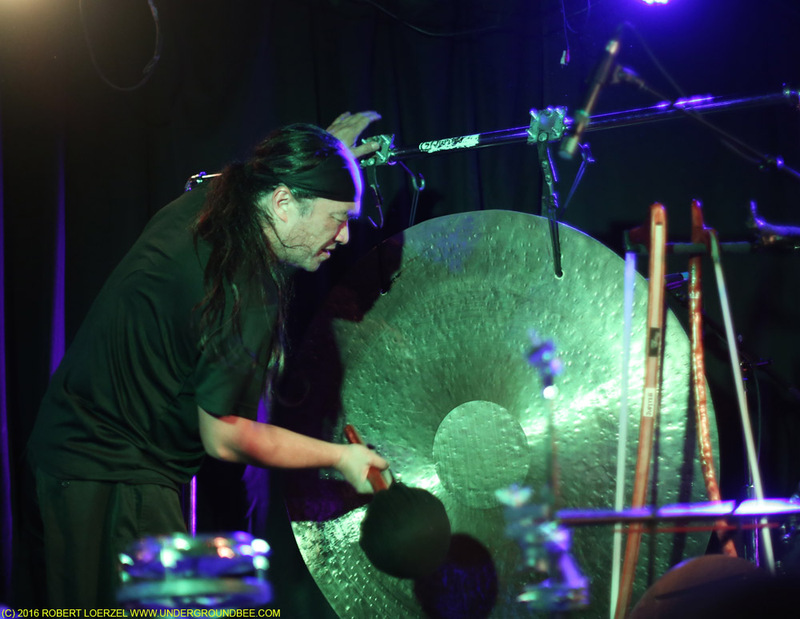 Both used bows at many points during the concert, with Makoto bowing the strings of his electric guitar while Nakatani gently coaxed vibrations from a huge gong and other pieces of percussion. 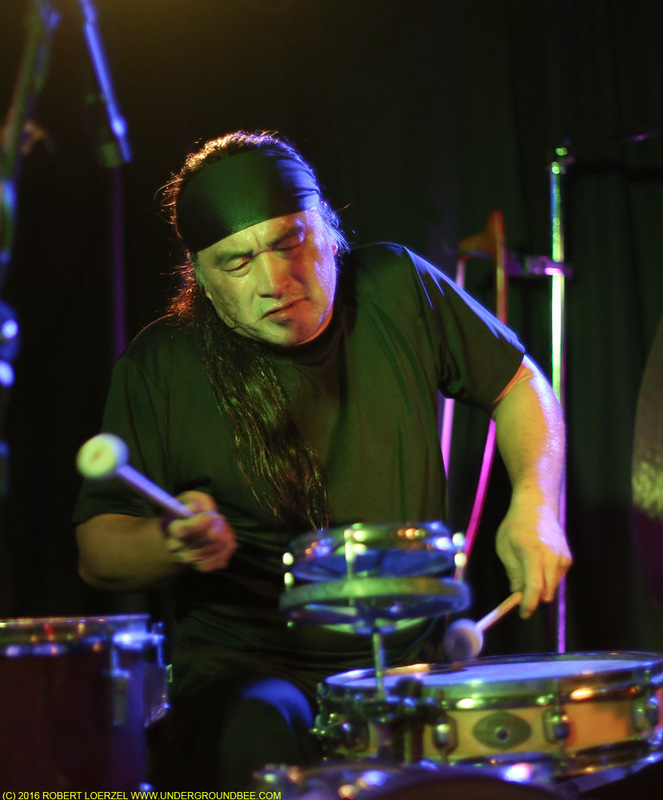 Nakatani even played the drums with his mouth for one short passage. 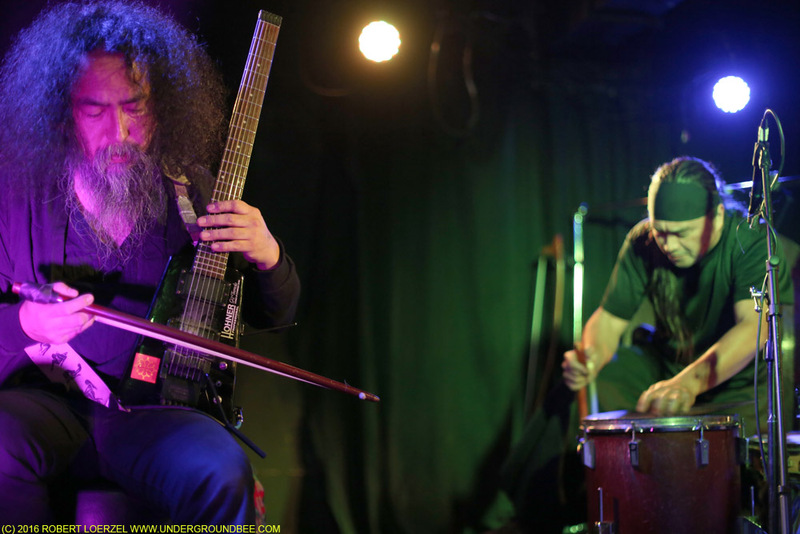 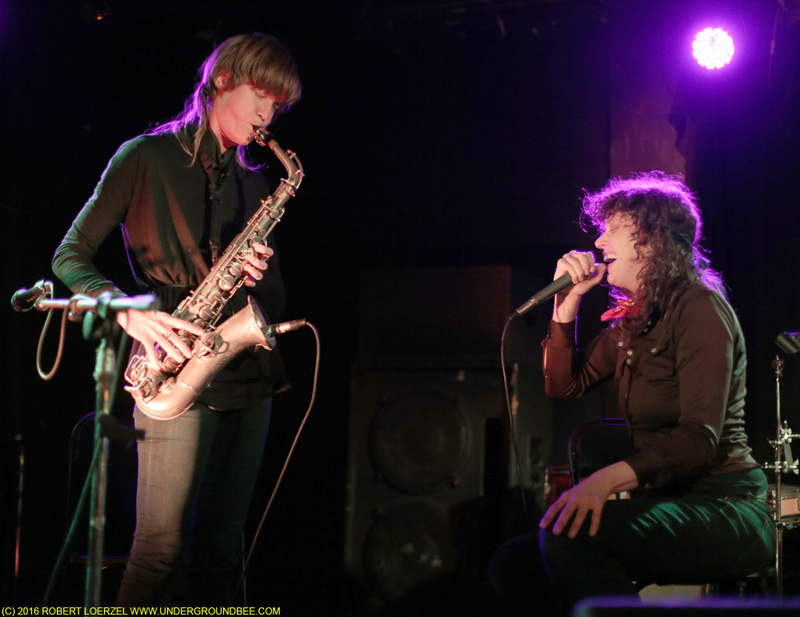 This collaboration was an enthralling duet, filled with dramatic musical flourishes. 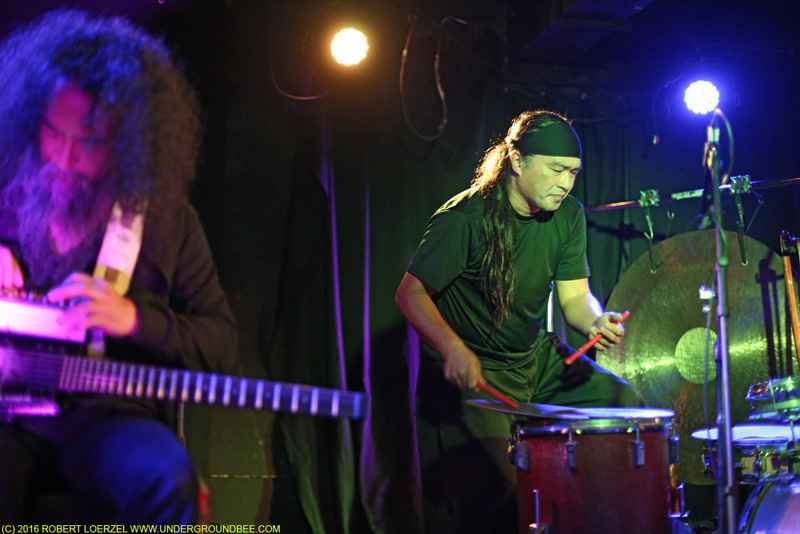 Makoto and Nakatani seemed to be playing with an uncommon sense of freedom. 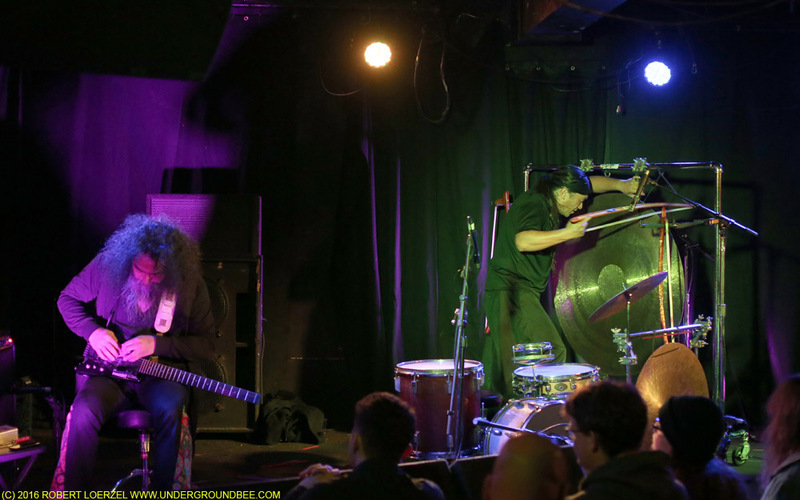 The evening also featured two noteworthy opening sets. 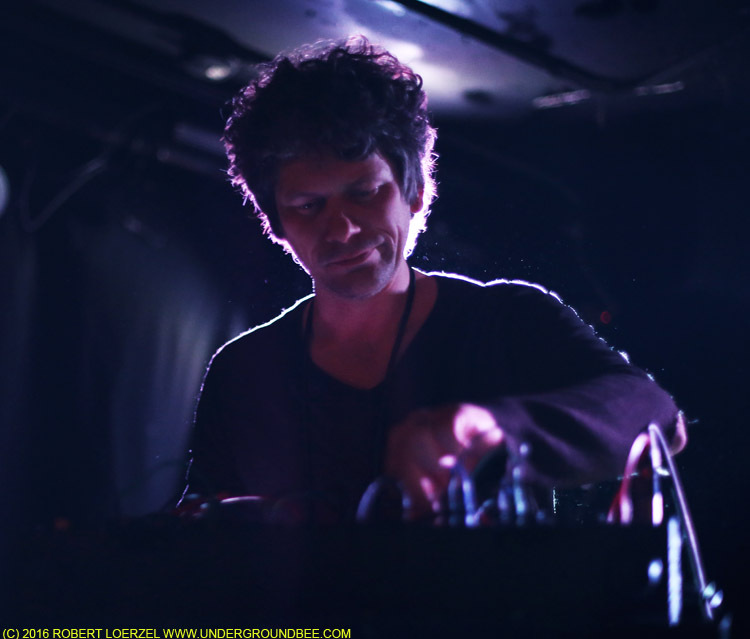 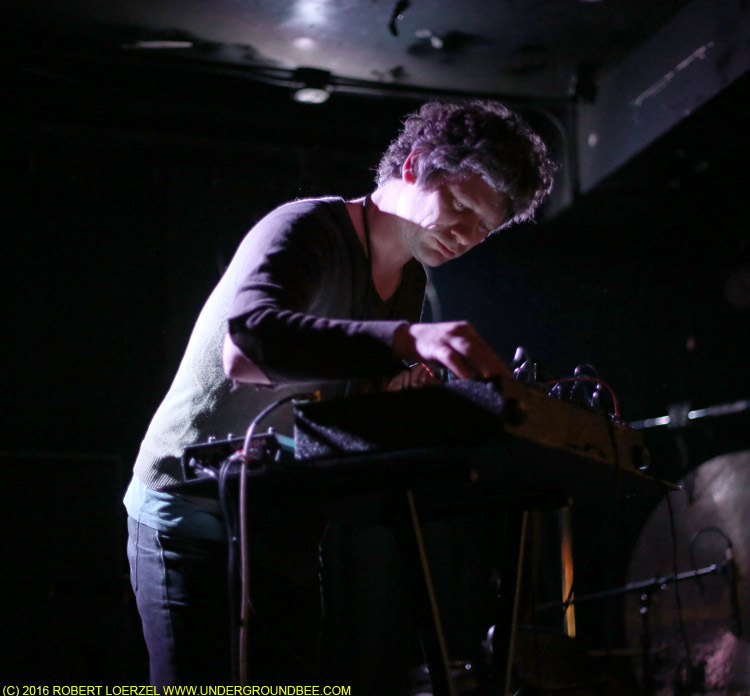 Brian Case, leader of the rock band Disappears, played instrumental electronic music. 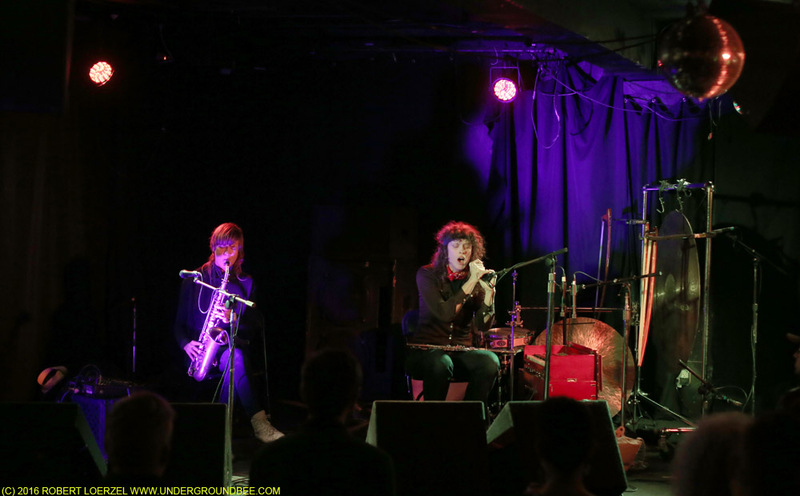 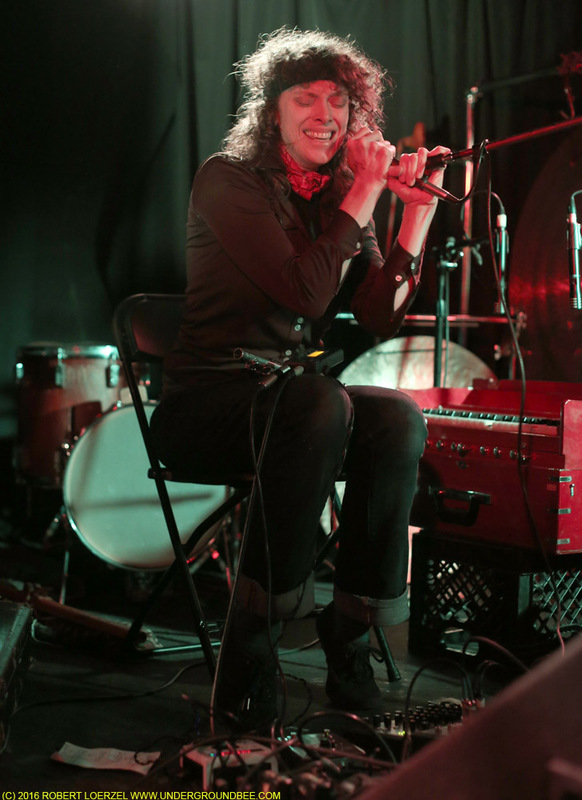 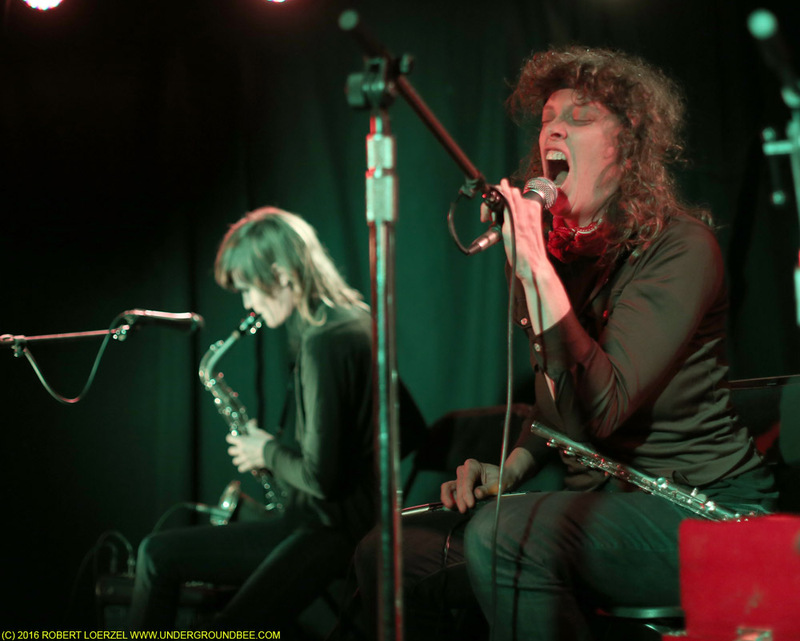 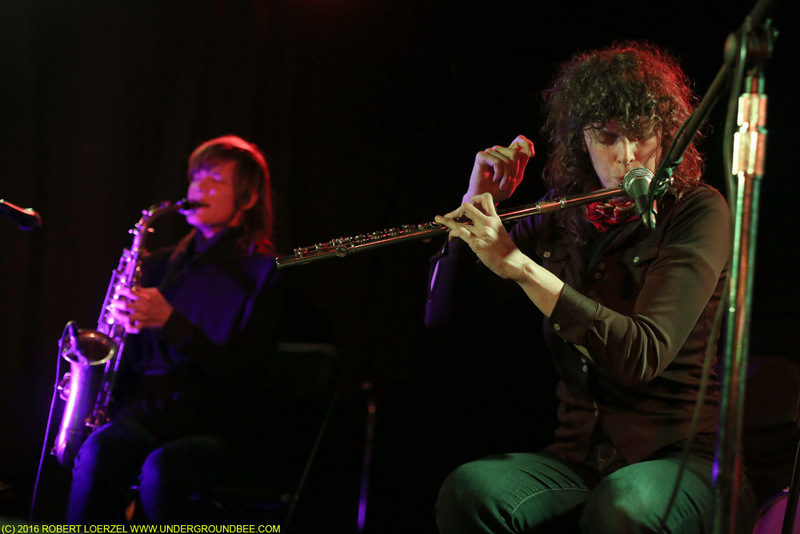 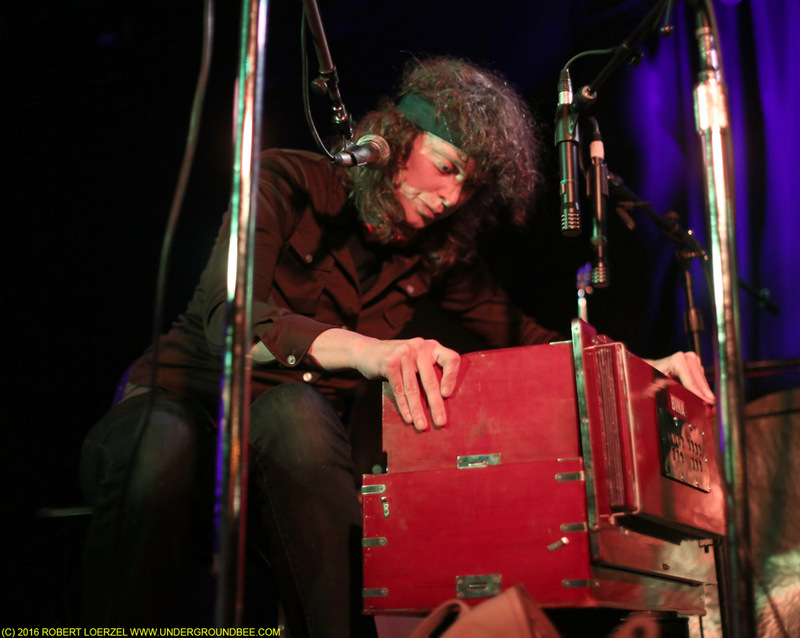 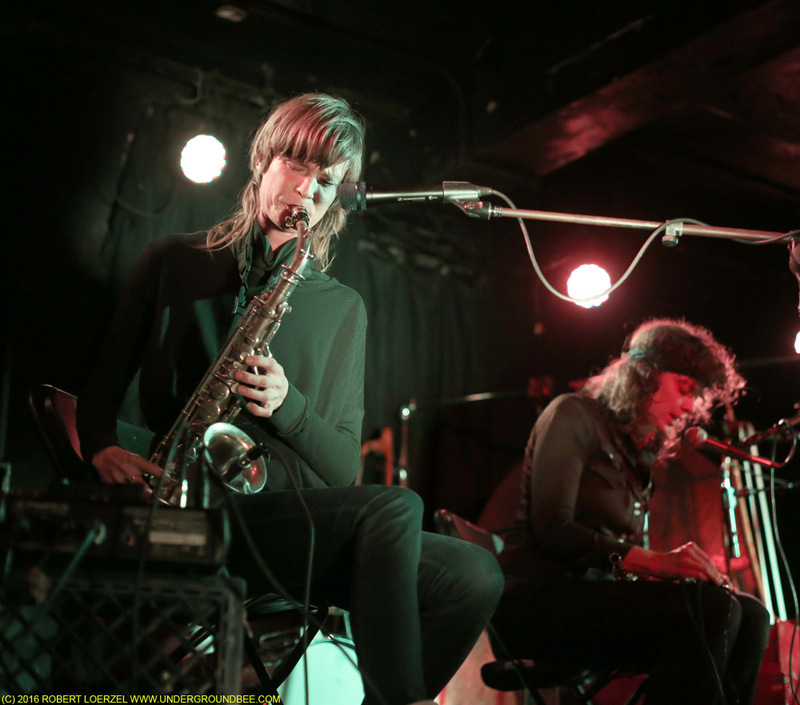 Spires That In the Sunset Rise continued exploring the many possibilities of what sounds two musicians can create together, duetting with wind instruments at some points, singing and plucking autoharp at other times. 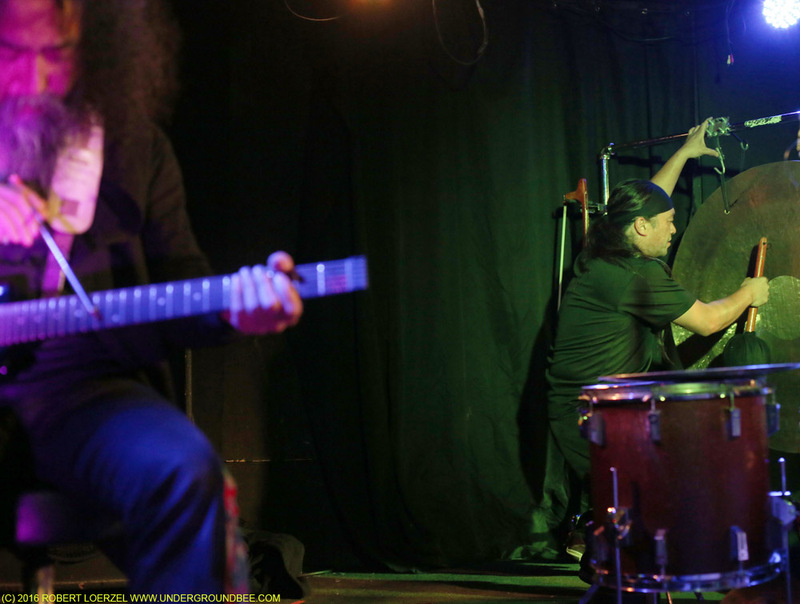 The results were bracing and fascinating.